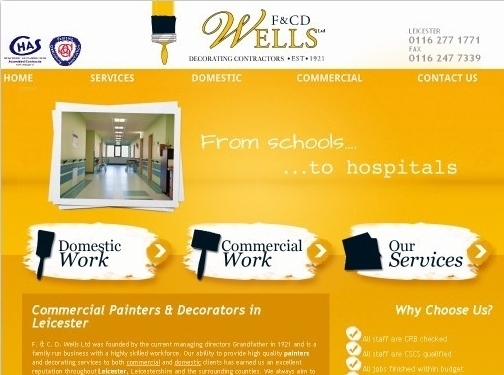 F&CD Wells are a family run company established since 1921. As a family run company they offer high quality painting and decorating across Leicester and surrounding areas. UK (Glen Parva, Leicester) based company - established in 1921 - providing painting and decorating services. Website includes details of services provided, associations, accreditations, past projects (photo gallery), news section, full company contact details including company registration number.